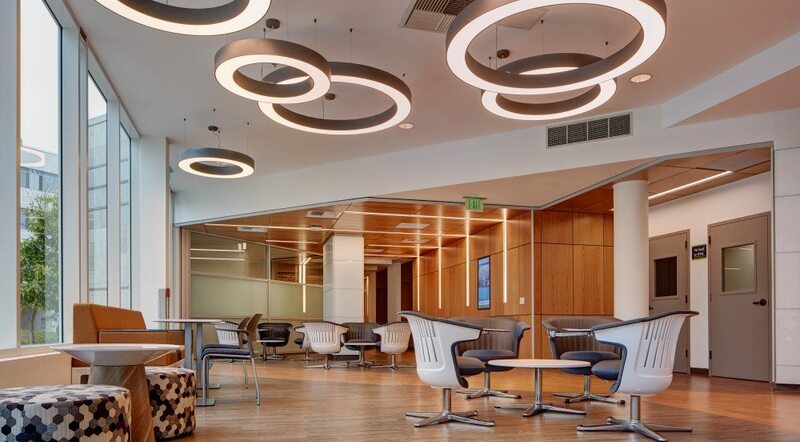 The Robinson Hall renovation consisted of the complete interior renovation to the Robinson Building complex located on the University of California, San Diego, campus. 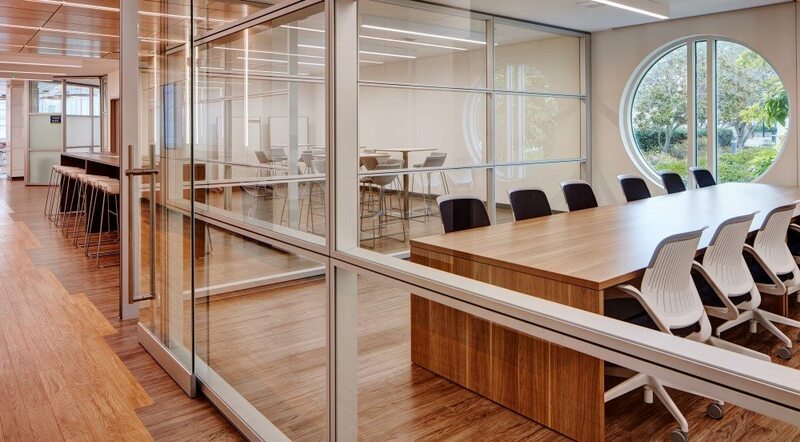 The Robinson Hall buildings are part of the School of Global Policy & Strategy and contain multiple lecture halls, a large auditorium, conference rooms and offices for the professors. 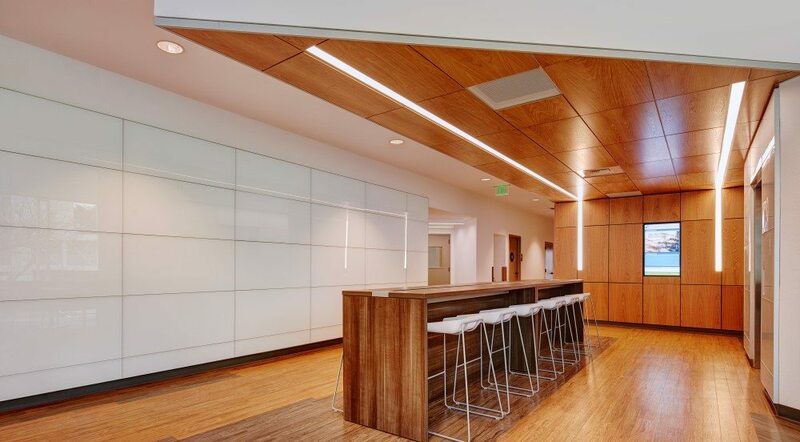 The scope of work consisted of the demolition of all existing interior improvements within two buildings and reconfiguration of the space to increase efficiency. 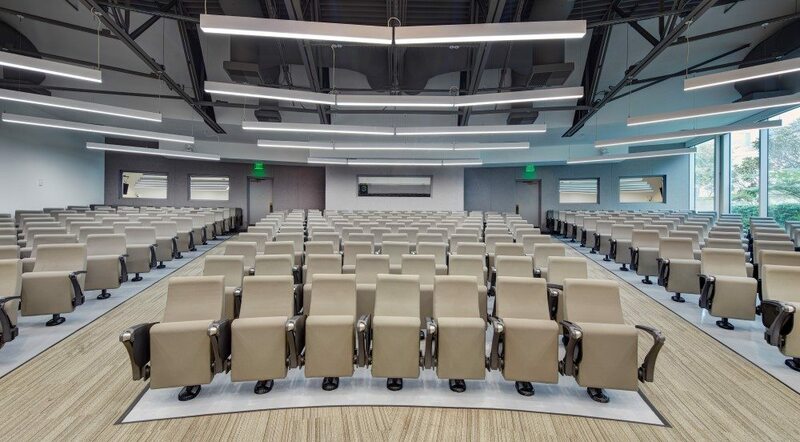 New improvements included new instructional and lecture rooms, multiple conference rooms with floor-to-ceiling glass, private offices for professors, custom wood-paneled ceiling with custom lighting throughout, creation of multiple collaborative educational spaces and work cubbies, and upgrades to the Fire Life Safety Systems. 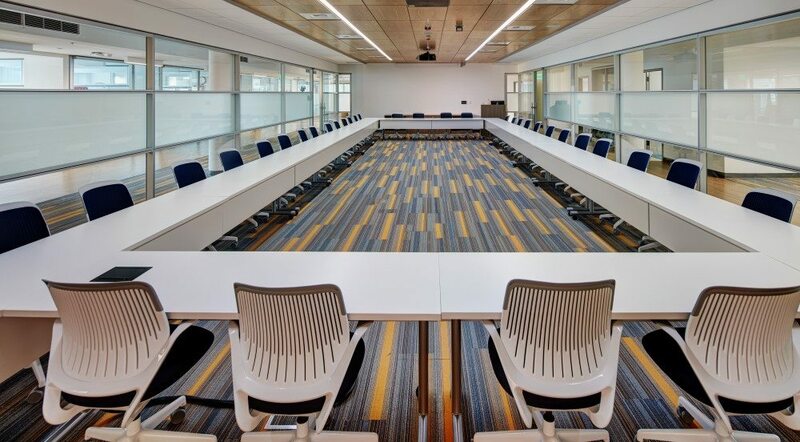 The project was completed within a compressed schedule with hard start and stop dates to accommodate the University’s schedule.